Bonjour lecteurs! We hope you had a fabulous Christmas and you got spoilt rotten! The Frenchie house was full of voitures (cars) yesterday. We can officially say that Baba is in the race to have one of the biggest collections in town! Paw Patrol, racing cars… we even get a lorry in the living room! The thing is nearly as big as Baba 🙂 But for now, time to share our weekly pic and I selected one with moi in it for once! Our Living Arrows 52/52 was taken on Saturday while we were watching Disney on Ice in Greenwich. 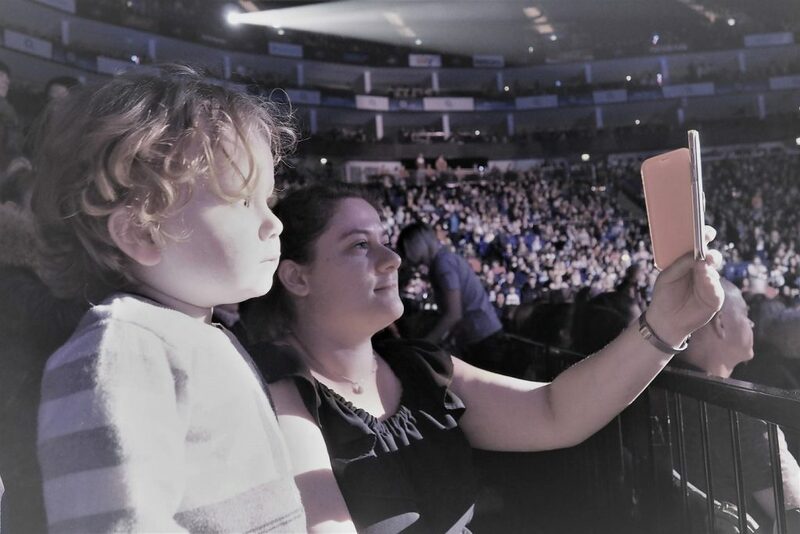 Le Frenchie bébé and his family went to see the new Disney on Ice show – Passport to Adventure. Oui, the entire Frenchie family had the chance to see the last show and even Grumpy Boyfriend attended. We all enjoyed a bit of magic and even my other half was amazed by the dances and the routines! I take my hat off to the artists for being able to ice-skate with the costumes on! It was truly fab. I mean, when you see Baba’s face on the pic, there is no doubt that it was a hit! We went to see 100 Years of Magic back in April and it was already fab, but now Baba is bigger and can enjoy it more. The two babes in action 🙂 Merci Grumpy Boyfriend for capturing it! And yes, la maman française was capturing it all on her phone. But what I particularly love about this photo is Baba’s expression. He was simply mesmerised! And it was officially our first day all together over Noël. 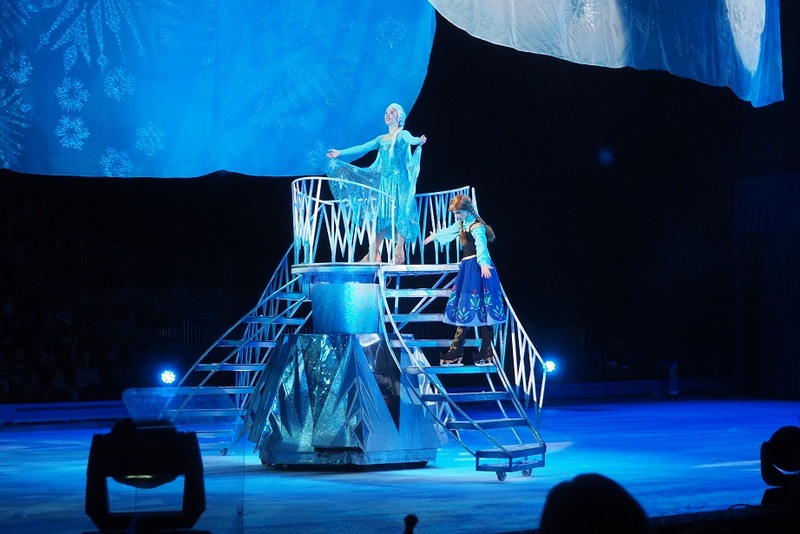 So a day to remember for sure and not only for all the beautiful princesses in Disney on Ice! One of Frenchie Mummy’s favourite parts! 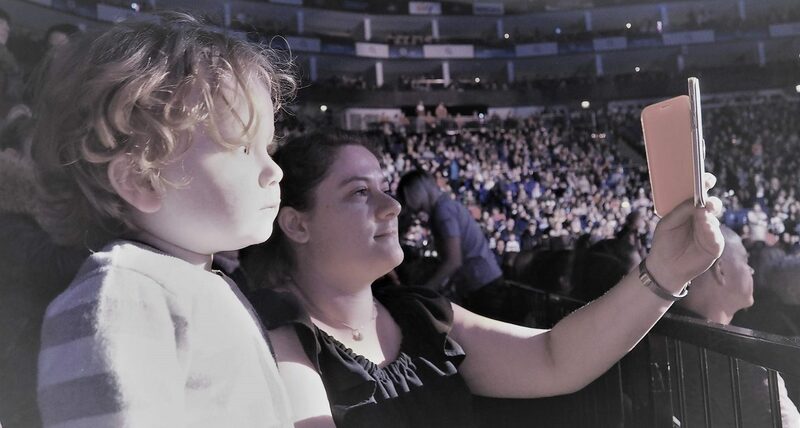 Thanks for reading Living Arrows 52/52 – We saw Disney on Ice in Greenwich. I hope you had a good weekend and a great Christmas with your famille! Bring it on, 2018! We are ready for it with some exciting news!! He looks so interested in that photograph! Merry Christmas! Aww he looks totally engrossed.